Ladies & Gentlemen, it has been lovely 3 and a half months sharing my love for cinema to you guys, this is my 50th post, and guess what, it is of the film, which is one of the films which I was excited about this year! La La Land, one of my most awaited films this year, as I loved Damien Chazelle's first film Whiplash. He came back with a musical this time, as the last film of his was about music. And, Oh' yes, this film is worth all the hype, all the praise. Chazelle is sure in the category of the very best new director's, and he might be the best, as creating two great films, back to back is not an easy task nowadays ah? Personally, I have never been a big fan of musicals, it is probably my least favourite genre's, but this one is a modern muscial film which I liked. First of all this film is extremely gorgeous, each frame in the film looks colourful. The direction, without a doubt Chazelle has crafted a brilliant film, but still let me remind you, this does not top his first film Whiplash, though they both are different films. 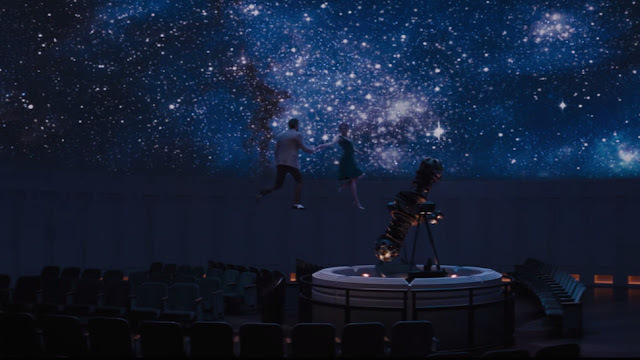 Music in the film is very well used, and the effects in the film were astonishing. The plot of the film is of a girl Mia, an aspiring actress and Sebastian, a dedicated jazz musician, struggling to make ends meet while pursuing their dreams in a city known for destroying hopes and breaking hearts. With modern day Los Angeles as the backdrop, this musical about everyday life explores what is more important: a once-in-a-lifetime love or the spotlight. I saw this film in IMAX and it was certainly a wonderful experience, it was lovely to see it on a bigger screen of course. La La Land, is one of the best cinema experiences for me this year, it is a lovely film, I'm so glad I watched this today. This may not be a masterpiece, but it certainly comes close to being there, but I don't if time changes my thoughts. The music, I just cannot express it in words, is beautiful and brilliant. Performances: The actress who I adore a lot Emma Stone did justice to her role, she portrayed the character of Mia very elegantly. Ryan Gosling, gives a good performance as well, though this is far from being his best performance, but still managed to capture his character very well. This film mainly focuses on those two, rest of the performance were decent, as they had to be. This is definetly up there in my top five of this year. So, I think, I have found a musical film that I actually like, since post 80's especially. 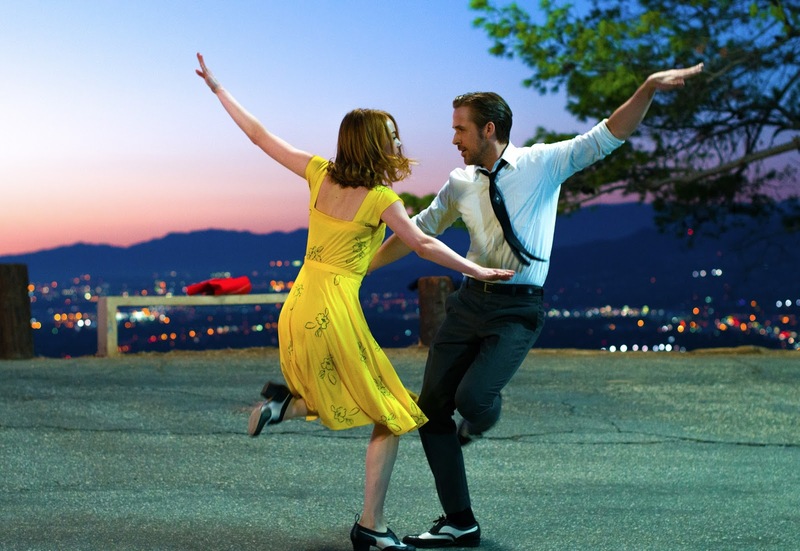 La La Land, is a film you shouldn't miss, but couple of problems I found with the film were pacing, at bit's took slow at bit's not all ways, but music and songs helped to manage the film's pacing well as did terrific performances and direction. The music at bit's I found were out of tone (though I'm not a lover of musical's again). Other then, that this film is an absolute blast. It is worth all the acclaim and praise, it has been getting, I highly recommend this film, be sure to check it out, when it's get it's full release (In India), I loved this film very much and it also becomes the second film this year uptill now to get a perfect rating.